Moving into a new home or apartment can be a daunting task on its own with lease agreements, walk-thrus, deposits, rules, restrictions and so on; not to mention the strain a move can put on an individual or family. Beyond the obvious worries of a move, what most soon-to-be tenants are not aware of are the issues related to water damage and mold contamination they may have to contend with if their landlord has not had a property thoroughly inspected. Many property managers, landlords, or real-estate agents will avoid taking care of such issues to quickly turn a property or apartment. This is especially the case in low-income complexes and rental homes, due to the desire of landlords to cut-costs. It is the right of the tenant to know such information, and if not informed the issue should be fixed at the expense of the property manager or landlord. Also, any subsequent damage as a result of the negligence of the landlord, or property manager, is not the financial responsibility of the tenant. Such issues can be an even greater burden for lower-income individuals who do not have the funds to establish litigation against such companies if substantial damage has been done. It is important for such tenants to have resources available to them in regards to their renters’ rights and the proper protocol necessary to make their living space habitable. In the state of California, renters have the right to pay professional to fix a given problem with their home or apartment, and then deduct that cost from their rent. 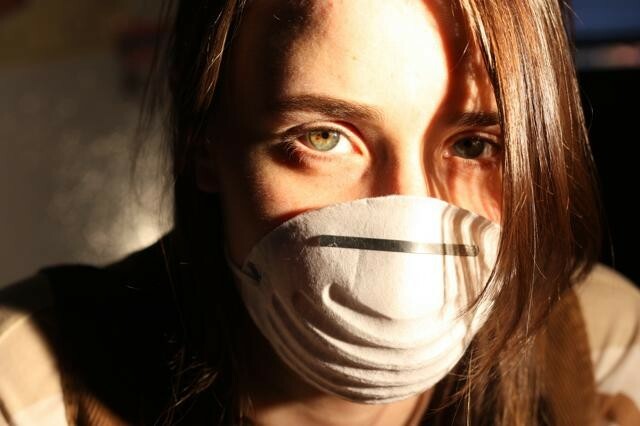 The Toxic Mold Prevention Act of 2001 (TMPA), established by the Department of Health Services (DHS), allots for only a certain level of mold to exist in a home or building before it is considered inhabitable. This same law also indicates what the remediation standards are for property owners, contractors and landlords. According to Civil Code 1941.1, Green vs. Superior Court, the existence of high levels of mold growth requires the immediate remediation of a property by the landlord or property management company. If the landlord refuses or does not fix the problem, notice still must be given by the renter that someone else will be fixing the problem and the cost will be coming out of their rent. Health issues in regards to mold exposure can vary, but some of the more common symptoms include: scratchy, sore or itchy throat, nasal issues, asthma flares, skin rash, immune-system issues, damage to the nervous system, liver, kidneys, and blood, and even possible brain damage. Beyond health issues, mold can also be destructive to a home’s structural integrity, and can damage items inside the building, such as furniture and clothes, as well. The aftermath of continued negligence by many landlords in regards to mold growth can be seen with the 2004 case of a California woman, Jennifer Lair, her family, and the management company of her home. Mrs. Lair had complained to her management company on several occasions about a musty smell, the existence of visible mold, and a leaky ceiling in her family’s home. Instead of contacting a licensed professional to test for mold in the home, the management company decided to rip down the existing walls in the home to fix the leak. It was this that, Lair believes, caused the death of her daughter Neveah, who passed away soon after due to respiratory failure. The mistake the property management company made was disturbing the mold spores within the walls of the home by destroying the walls before testing. In doing so, the spores were released at a high level into the home. Had the home been tested and properly remediated, this would not have been the case. One indicator that the issues with existing mold not being properly remediated by the landlords or property management is the number of lawsuits that continually pour into the court system. Mold lawsuits are generally very costly and can involve 1 to 100 individuals or entities. This would include the plaintiffs, who are suing, the landlord of the building or complex, and all those involved in the construction of the structure. The owner or property manager needs to make sure that a unit or building has been inspected and tested for the existence of mold and the services of a Certified Mold Inspector must be rendered (Standards of DHS). Any leaks or water damage should be checked for mold, remediated if necessary, and restored. 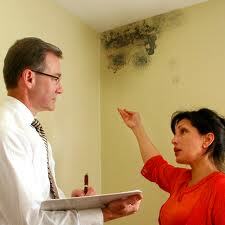 Property management should not cover mold with paint, or conceal any known mold. Before a tenant signs a rental agreement, they should always inspect the unit or home themselves. The assistance of a Certified Inspector can also be used. Make sure to check any hidden spaces such as the attic, basement, crawl space, garage, and the HVAC system, before moving in. Analysis of mold requires the use of a laboratory to properly identify if mold is present and what species it is. Any previous water damage or mold issues should be disclosed in writing to any possible tenants, and the documentation proving that testing, remediation and restoration had been done by a licensed professional. Taking the above steps can help to ensure that costly litigation, health hazards and structural damage can be avoided. It is important to note, however, that the standards established by the Department of Health Services (DHS), require that all repairs made to the building be conducted by a licensed professional.